US Ambassador Wally Brewster can add another victory to his time serving in the Dominican Republic, as the country's Senate has just introduced a law which promises to crack down on religious figures who criticize what they see as the introduction through political means of values foreign to the Caribbean nation's Christian culture. During his time as Ambassador to Santo Domingo, Mr. Brewster has been the victim of vitriolic, homophobic attacks coming from religious figures, and his husband has just recently used the Pope's words of healing towards homosexuals to ask for a public apology from Dominican religious figures. Instead of an apology, Mr. Brewster's partner instead riled the religious masses, and the main nationalist party, the National Progressive Force, reaffirmed it's commitment to what it sees as the "LBTQI agenda" which seeks to turn the Dominican Republic into a "homo-tourist paradise." 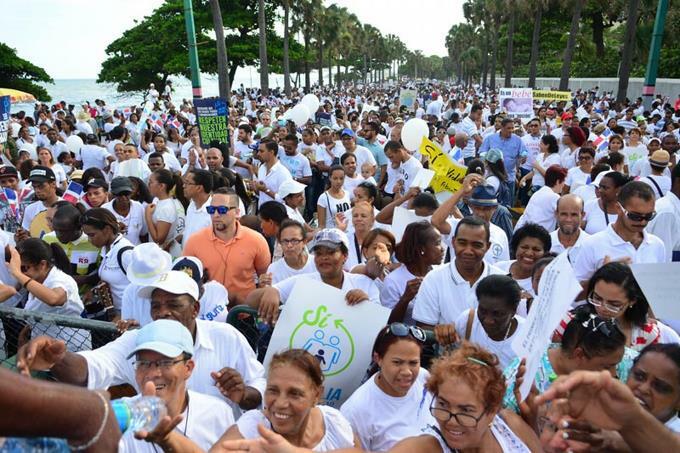 Facing tremendous pressure from his Washington backers, Dominican President Danilo Medina will likely sign the new religious registration and regulation act. The law will have as its most immediate impact a chilling effect on free speech, as religious leaders who use the national flag or other national symbols during ceremonies could face 6 months of disbarment or a fine of 20 months salary, a power drawn from Law 360 of 1943. In 1943, Dominican dictator Rafael Trujillo directed his puppet Congress to heavily regulate the use of the Dominican flag, and now the same law will be utilized to control religious speech, potentially condemning multiple pastors and political figures to prison. Any religious organization in the Dominican Republic, or "cult" as written in the new legislation, must register with the Ministry of Police, and any foreigner who should violate the new law will face expulsion from the country. In the same way that members of the military are forbidden by Dominican law from voting or participating in the political process, so too does it seem that President Medina wants to completely disenfranchise members of religious orders who should choose to seek political office. The new law, in Article 19, specifically forbids religious leaders from publicly condemning international treaties, meaning that the very treaty which religious leaders have been railing against, which threatens to turn the most ecologically-sensitive parts of the Dominican Republic into a US military playpark, will now be off-limits to criticize. 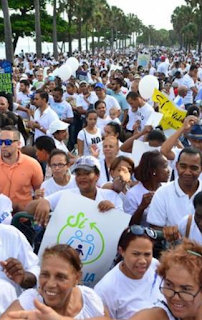 With this new religious registration and regulation act, the Dominican president will effectively give himself full-blown dictatorial powers to forbid any criticism by religious groups, who are his biggest critics in the nation. If fascism hasn't officially arrived in the Dominican Republic at the behest of Ambassador Brewster, then whatever the Dominican people live under today surely confuses the masses as it likes to use fascist-era laws to crack down on its religious critics.